The Mr. Canary bird feeders Carey Services produces recently received prominent mention in the Spring 2015 Ball State University alumni magazine, Alumnus. An article on entrepreneurs with ties to the university featured Jan Long, a founder of Mr. Canary. The article talks about the creation of Mr. Canary and how the connection between the company and Carey Services developed. A smaller article features another Ball State graduate, Nathaniel O’Dell, and how he began working for Mr. Canary as an intern and now is a full-time company employee. 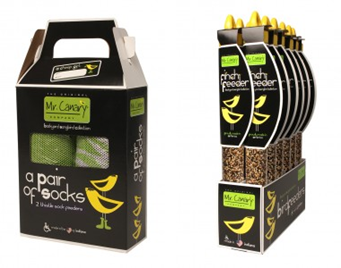 Carey Services produces the Mr. Canary bird feeders at its Marion production facility. The feeders are sold through many large national retail chains. To view the Alumnus magazine, click here. To view a separate article the Ball State University Alumni Association posted on the university’s website, click here.